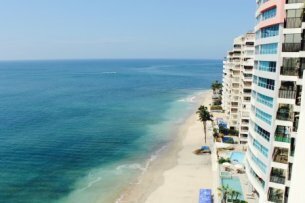 What Happens To My Timeshare Property in Bankruptcy? With the exceptionally high cost of vacation properties in the past decade, many people have turned to partial ownership of vacation properties. These are commonly known as timeshares and they allow an individual or family to “own” a certain number of weeks in the year at a vacation property of their choosing. A common question by those seeking bankruptcy protection surrounds these types of assets and exactly how they are dealt with by the bankruptcy courts. Much will depend on the type of ownership rights you have purchased from the timeshare company. If you have what is known as “deeded fractional ownership” then this is commonly considered the same as owning any other property and you may well be forced to liquidate the asset to pay off your creditors. If however you have one of the other types of ownership including “right to use” ownership or a “point based” system whereby you buy or accumulate points to be used towards your choice of vacation locations then you may well need to talk to a qualified Houston bankruptcy attorney to find out exactly where you stand with the courts and the bankruptcy petition regarding the timeshare. It is always advisable to do this any way to get a firm sense of exactly what the process will entail. As for timeshare maintenance fees, if you owe the money prior to the petition you may be able to have them discharged if they were accrued prior to the filing, again talk to a professional bankruptcy attorney and get the advice you require to move forward successfully.